In order to make life easier for everyone in these days, it is important for me to provide some quick and delicious recipes. One of them is this Pita, perfect for lunch, picnic or simply to enjoy after a busy morning. Fast food does not need to stop being delicious and healthy, and is much better when we make at home. Warm pita bread for 30 seconds in the microwave. Cut in half and open each half, mix the mayonnaise with the mustard, spread on both sides of each pita half. 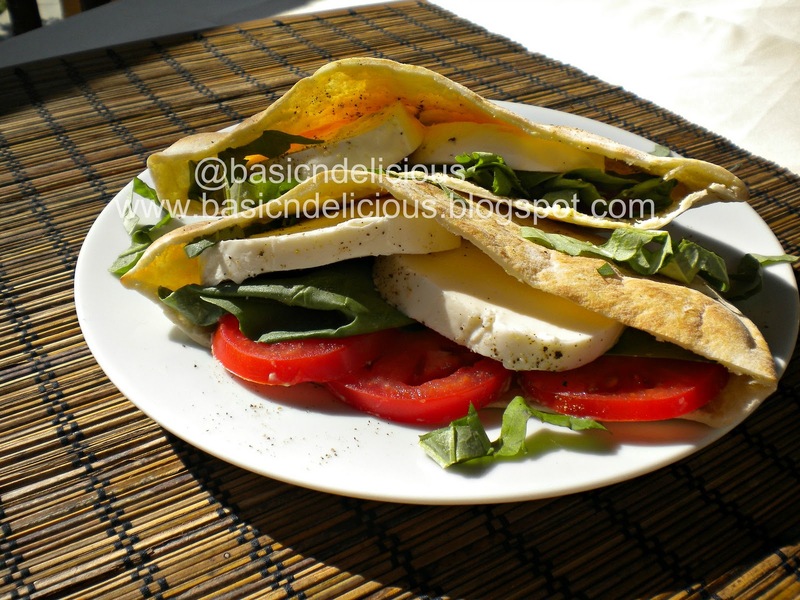 Place in each half of pita bread 3 slices of tomato, 3 basil leaves and 2 or 3 slices of mozzarella cheese, sprinkle with salt and pepper. Double the recipe if you want to make more of a pita. This entry was posted in Uncategorized and tagged cheese, pita, tomato by Kathia Rodriguez. Bookmark the permalink.